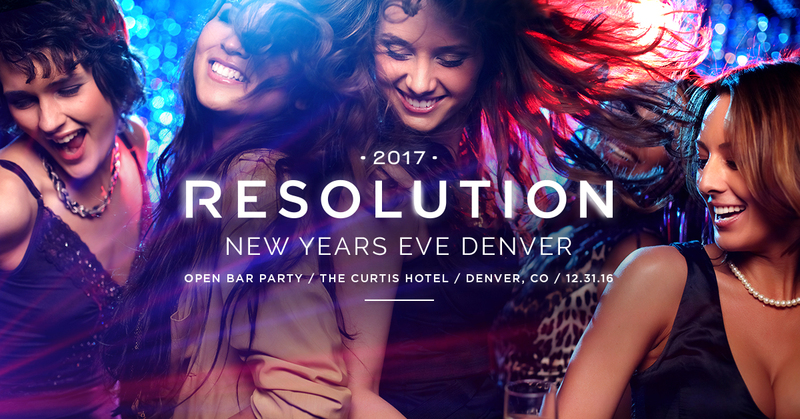 Enjoy an All-Inclusive New Years Eve Party in Denver with Premium Open Bar and Hotel Takeover! Resolution Denver 2017 is The BEST New Years Eve Party Denver has to offer. Experience a New Years Eve celebration that is truly interactive and HIGH CLASS. The Resolution Denver New Years Eve experience will include performers, dancers, festival quality lighting and laser displays, confetti explosions, cryogenic blasts and many other surprises. Amazing New Year’s Eve decor by our internationally recognized creative design team that was just awarded one of the “15 Best Festival Stages of 2015” by FEST300.com for their production at Envision Festival Costa Rica. Massive New Year’s Eve Countdown celebration! TWO private outdoor terraces for party guests to enjoy! BOTTLE SERVICE & private party rooms w/ personal bartender options available!